BRITTANI ACUFF is the new brand manager for HOTSPOTS magazine in its expanded Central Florida office in Orlando. JORGE AMARO has been named the new senior program director of RESOURCE MEDIA, a non-profit communications firm in Washington, D.C. Previously, he was the media and public relations director at the NATIONAL LGBTQ TASK FORCE. SCOTT BARNES, a Chicago-based professional photographer and media specialist, passed away September 9, 2017, at the age of 50. Most recently, he served as web content specialist and search engine optimization editor for the American Medical Association. ECHO MAGAZINE, based in Phoenix, Ariz., entered its 29th year of publication with its October 2017 issue. GOGUIDE, based in Iowa City, Iowa, celebrated its second anniversary with its Fall 2017 issue. ALAN KENNEDY-SHAFFER, a former columnist for Middletown, Penn.-based THE CENTRAL VOICE, is running as a Democrat in Pennsylvania Senate District 34. Locally, he is known as the founder of Harrisburg Hope, a community and political organization to address the state capital city’s financial issues. 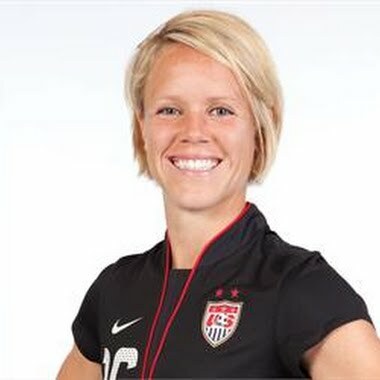 LORI LINDSEY, the retired American soccer star, was the guest editor of the WASHINGTON BLADE’s 5th annual Sports Issue, which published on August 25, 2017. KAYDEN MILLER is the new education coordinate at the Rochester, N.Y.-based GAY ALLIANCE, which publishes THE EMPTY CLOSET. OUTWORD, based in Sacramento, Calif., celebrated its 22nd anniversary with its August 24, 2017, issue. WINDY CITY TIMES, based in Chicago, entered its 33rd year of publication with its September 20, 2017, issue. The staffs of publications serving the Las Vegas LGBT community have worked to bring comfort to those who were affected by the October 2 massacre that killed 59 people and left hundreds more wounded. QLife has also been leveraging its social media to share details and stories about local needs for blood and supplies, said Pattiani. The staff of digest-sized magazine Gay Vegas was also profoundly moved by the mass shooting. “We have received an outpouring of support, concern and love from people from all over the world,” said publisher John Lawrence. The November issue will be dedicated to the victims, he added, noting that Gay Vegas has donated directly to those affected by the tragedy. “Las Vegas became the site of the greatest mass shooting event in modern history. For many in the LGBTQ community, this brings back memories of Orlando. As we assess the enormity of what has occurred, our family of LGBTQ publications have reached out to help tell the story we are unprepared to tell ourselves. “Many friends were attending or working the event. Many more sheltered in place in hotels, kitchens, theaters and shops unable to leave until the early hours of the morning. Vegas is a place where the world comes to forget their worries, let loose and have a great time. It doesn't make sense to have this as a target. “Our hearts and our city are broken, but we are strong. With 44 million visitors every year and a population of 2 million, we are outnumbered by the people who visit Vegas and rely on our community for food, fun, and sadly today, medical attention, comfort, consoling, and for over 50, bereavement. Just over a year ago, Fort Lauderdale-based Multimedia Platforms Worldwide — publisher of the Florida Agenda and Los Angeles-based Frontiers and promised to be the “world’s largest LGBT media conglomerate” — filed for bankruptcy protection. And now comes news its creditors are on the verge of eating their losses. According to reporting in Wilton Manors-based South Florida Gay News (SFGN), the U.S. trustee assigned to the case is now asking that the case for reorganization be dismissed. The trustee complained that the company failed to keep its promises and recommended a straight bankruptcy, which would eliminate any chance of court approved paybacks. The listing of creditors made public by Multimedia last year was 36 pages long. Aside from investors, Multimedia also admitted owing back payroll and income taxes totaling more than $500,000, reported SFGN. In the initial bankruptcy petition, Multimedia states that its estimated assets are less than $50,000 and its estimated liabilities are somewhere between $1 million and $10 million. 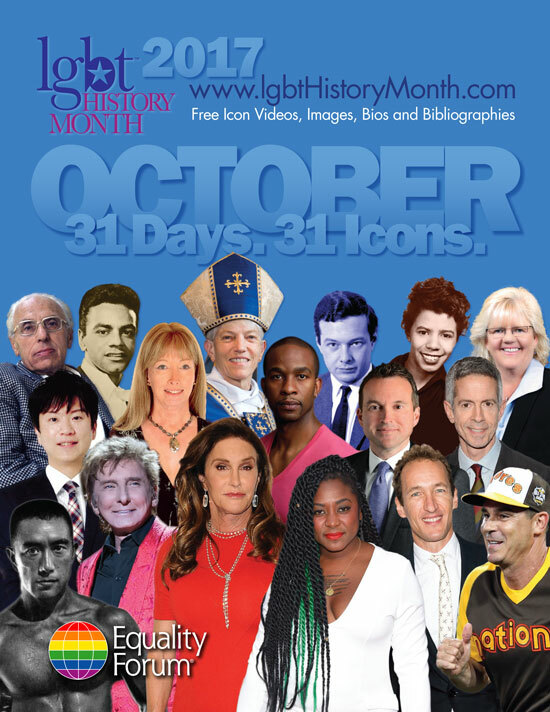 The Equality Forum, a national LGBT organization based in Philadelphia, is celebrating LGBT History Month, which takes place every October, by offering up an “Icon” for each day of the month with accompanying videos, photos and biographies free for download and use. Most of the Icons are people most casual readers have never heard of, such as Rodney Wilson, who will be honored on October 31. “In 1994, Wilson, a Missouri high school teacher, believed a month should be dedicated to the celebration and teaching of gay and lesbian history, and gathered other teachers and community leaders. They selected October because public schools are in session and existing traditions, such as Coming Out Day (October 11), occur that month,” according to his bio on the site. Others, such as Caitlyn Jenner, who was honored on October 19, are more controversial. Other Icons include pioneering San Francisco politician Tom Ammiano, former major league baseball player Billy Bean, and “A Raisin In The Sun” author Lorraine Hansberry. PPQ: What feature or features of QLife have been the most popular with readers? Publisher Garrett Pattiani: QLife was inspired from our former name QVegas. The QVegas brand served Las Vegas for nearly 12 years. 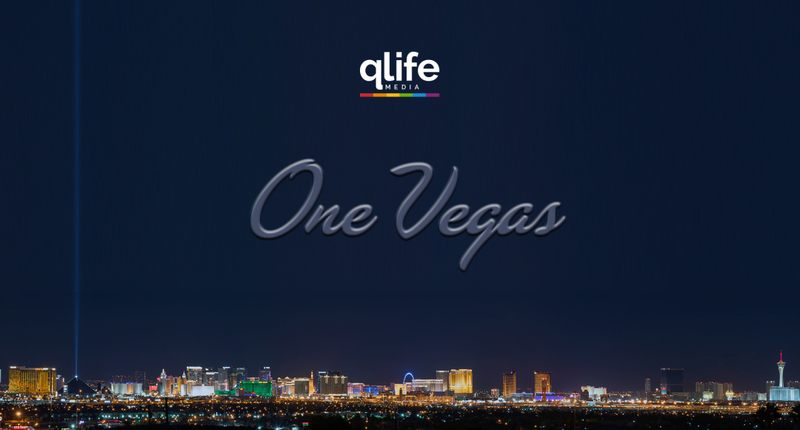 We originally were going to launch QLife as a reader-rewards program like casinos, hotels and airlines have, but with the bankruptcy of Frontiers (in Los Angeles), Next (in New York) and Agenda (in Fort Lauderdale, Fla.) in October 2015, we were able to make quick adjustments and instead decided to launch QLife as the publication name in Las Vegas, Los Angeles, and New York. Without the burden of a print bill and the associated distribution costs, we were agile enough to make the change quickly. White: We're in a constant state of challenge, mostly from ourselves. We are building our own publishing platform and infrastructure, so adding new features to the site, scaling the infrastructure, all while curating and writing content, remains an ongoing challenge. PPQ: What challenge or challenges is QLife facing now? Pattiani: We are invisible to national advertisers, especially pharma. For over five years, the Las Vegas market had not seen any advertising for HIV/AIDS medication, including PrEP. Smaller print competitors in Las Vegas are just now seeing PrEP advertising, and larger print competitors in Los Angeles and New York receive most of the national advertising that Frontiers and Next once had. Most LGBTQ publications could not survive without a pharma ad, and for our hometown of Vegas to have gone so long without, we have to wonder what could have been done to affect our current infection rate of one per day were our community not neglected for so long by pharma. As an all-digital publication, the current revenue model of ad networks and programmatic buys isn't enough for niche publications to stay afloat on the pennies per click model, so a direct sales model is the only one that works — those are especially difficult for national ad buys. PPQ: How has QLife changed since it was first launched? Pattiani: Most recently we added Ohio as our first statewide publication and added our first directory product for Las Vegas. We are also partnering with the local Las Vegas LGBT Chamber of Commerce, Lambda Business Association, to provide their online directory. 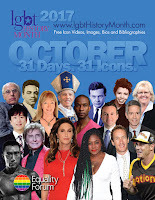 In fact, at the National Gay & Lesbian Chamber of Commerce (NGLCC) conference here in Las Vegas in August, we announced that we will provide free white-labeled online directories to any LGBT chamber in the U.S.
Pattiani: We are exploring how to provide print distribution that scales as we expand into other markets. While all-digital provides us many freedoms, a low-cost print product would allow us a little more traction in hybrid advertising and provide tactical brand marketing for QLife. We are looking at combining on-demand printing and micro distribution models with our publishing platform to keep costs manageable and augment our digital readership. 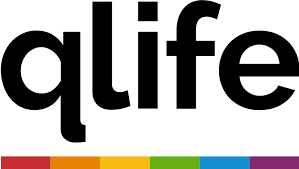 PPQ: What has been the biggest news story or stories QLife has covered? Pattiani: QLife is more “life”style and entertainment. “Life" is right there in the name, so we don't do a lot of news. Our Ricky Martin video interview was really cool, though. We were the only non-broadcast, and the only LGBT media, granted access to Ricky for a face-to-face interview. White: We're pretty gay. Currently, our numbers appear to be 80 percent LGBTQ+ and 20 percent heteronormative. In that breakdown though, 70 percent of the 80 percent is gay male, 10 percent lesbian, and the remaining 20 percent spread across the BTQ+. Of our 20 percent straight audience, the majority are women. Pattiani: No, though we are not afraid to expose issues within the communities we serve. The respect that we have earned from our corporate partners and the non-profts we sponsor in Las Vegas allows us to intercede when issues arise and solve problems before they escalate. As we grow roots in our other communities, we'll continue to build trust and advocacy there, too.